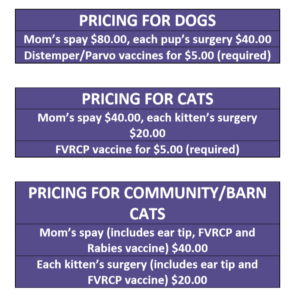 Help Iowa Humane Alliance accomplish their mission of reducing homeless animals by spaying mom and altering her kittens or puppies. We have amazing spay/neuter pricing available! 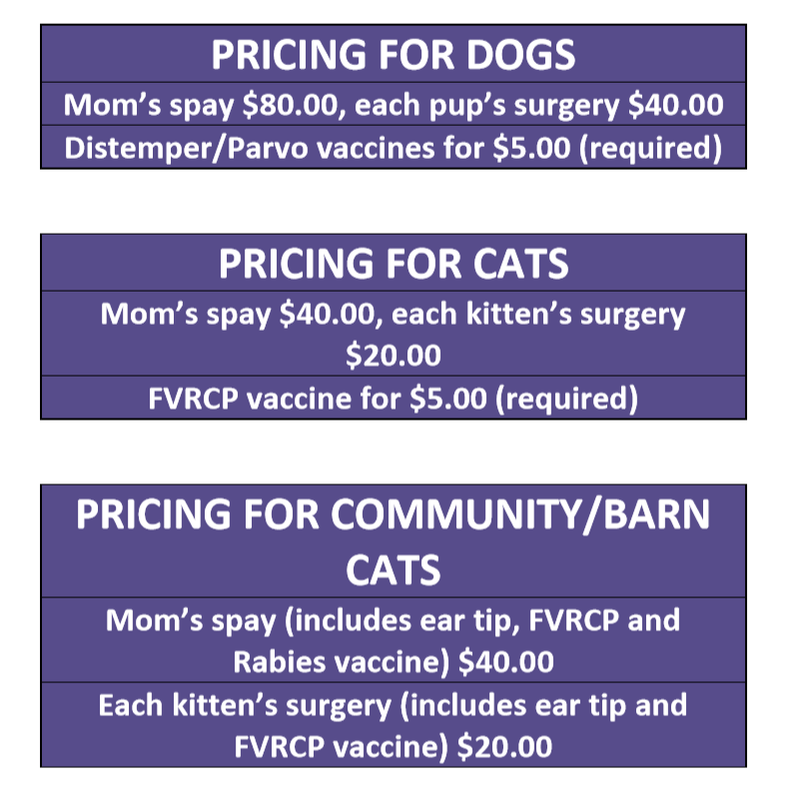 Mom’s surgery and services are regular price and each puppy or kitten is 1/2 price! “The Last Litter” package requires that mom and ALL of her offspring have spay or neuter surgery and receive their core vaccines. The puppies or kittens must be between 2-4 months old to be eligible for this special pricing. For more information about this life saving program, call today: (319) 363-1225.